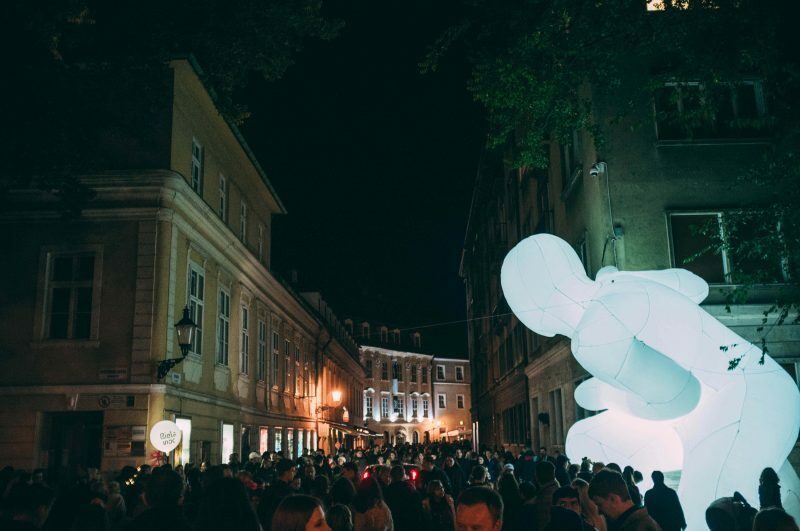 White Night (Nuit Blanche) is the largest and most visited festival of contemporary art in Slovakia. It is one of the most beautiful autumn events in Bratislava and this year we celebrate its 5th year, where you can experience an untraditional artistic walk through the night city, full of experiences and new perceptions. Each visitor gets an artistic map that guides him or her through various art spots: visually attractive installations, concerts, films, various theatre plays, dances, literature and live performances.